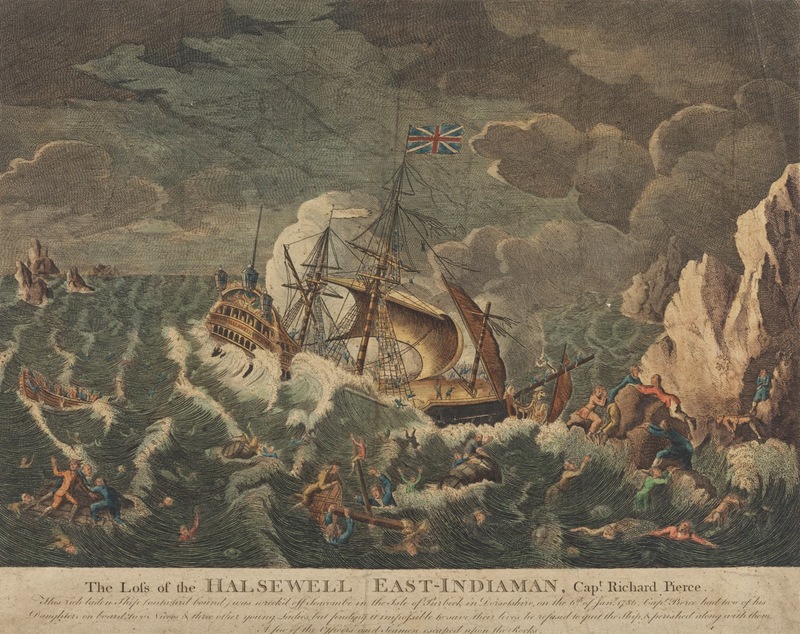 "The Loss of the Halsewell East Indaman, Capt. Richard Pierce," 1786, National Maritime Museum. This is the first of several exterior views of the Halsewell during her brief time above the waves and against the cliffs. 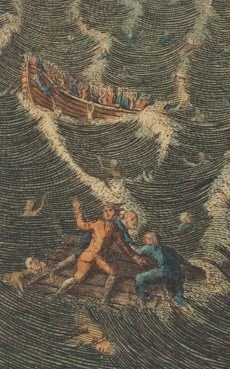 A number of the crew have taken to the boats. The survivors are colorfully dressed, with a mix of brown, blue, and red. In the detail above, a sailor is dressed in a brown sleeved waistcoat with matching breeches and gray stockings. Behind him is a tar in blue breeches and jacket or waistcoat, and they are joined by a man in blue trousers and jacket. 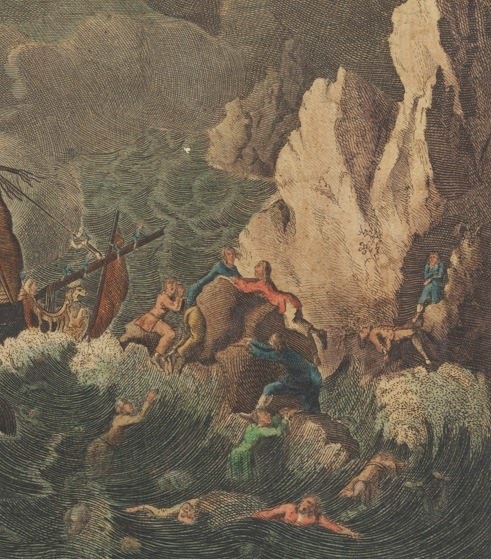 The sailors clinging to the rocks give us a bit more detail. White trousers are clear on the figure at the top of the rock in the center, though most wear breeches and sleeved waistcoats or one sort or another.